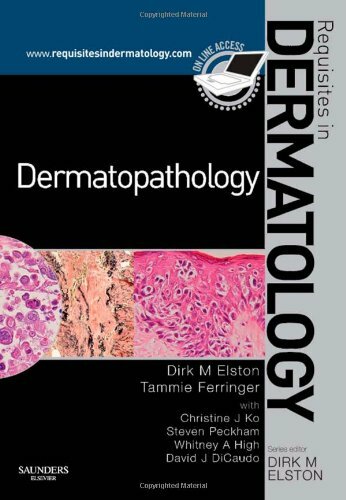 This title in the Requisites in Dermatology series is the perfect resource for quick reference and rapid review in dermatopathology. It succinctly presents all of the most essential clinical and foundational knowledge you need for certification, recertification, or practice. An extremely user-friendly full-color format, replete with full-color clinical photographs and other pertinent illustrations, makes it easy to locate and read up on any topic. Plus, full-text online access lets you consult the book from any computer, download all of the images, watch online lectures, and more. Elston MD, Dirk; Ferringer MD, Tammie; Ko MD, Christine J.; Peckham MD, Steven; High MD, Whitney A.; DiCaudo MD, David J.